If you’re a man who has been struggling to keep your weight in check, it’s important to know that you’re not alone. From changing your diet to switching up your exercise routine, there are no shortcuts when it comes to looking and feeling your best. 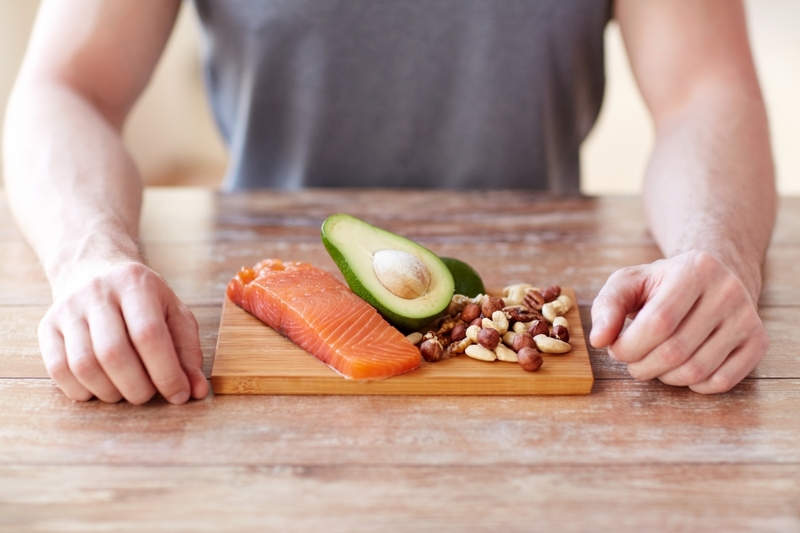 In this blog, we’ll look at some of the top weight loss tips for men, so you can make better food and life choices as you head down a healthier path. 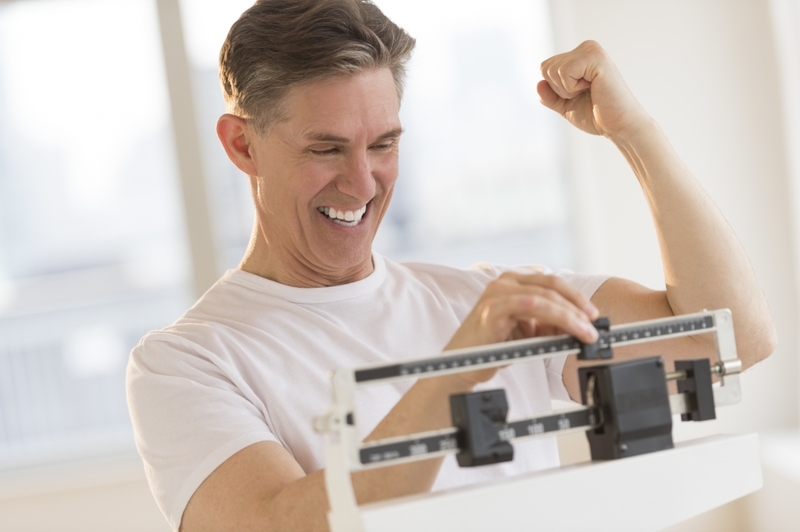 At the Men’s Vitality Center in Glendale, we’ve helped hundreds of men take control of their health and their life through our weight loss management services. 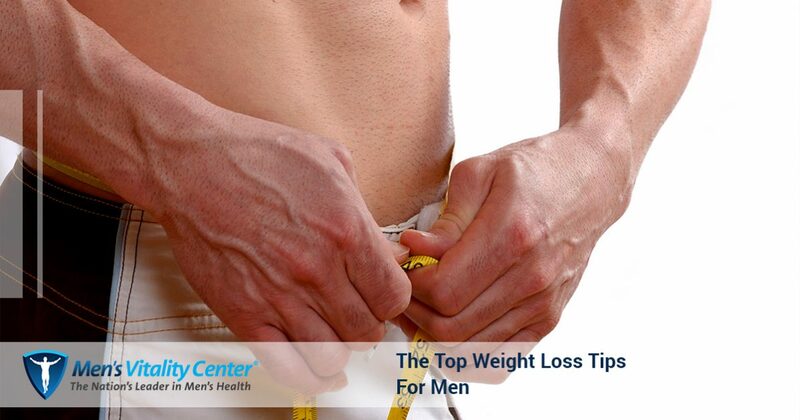 As one of the nation’s leaders in men’s health, we offer some of the best resources when it comes to weight loss. If you’re interested in learning more about our weight loss strategies, or you’d like to find out more about our diabetes and cholesterol management programs, schedule an appointment today! We’ve all been there: You’re at your favorite restaurant, polishing off your favorite meal, and you’re immediately thinking about going back for seconds, even though you’re filled to the brim. Before you reach for that second buffet plate, try to control your urge to eat more food right away. Why, you ask? It can take your brain up to 20 minutes to register that you’re actually full. According to Wesley Delbridge, a nutritionist at the Academy of Nutrition and Dietetics, “Before having another helping, wait 10 to 20 minutes and drink a glass of water,” he says. “If you’re still hungry after that, then have a smaller second serving.” Chances are, you’ll quickly realize that you’re totally full, reducing the risk of consuming more calories. Whether you’re out on the town with some buddies or flying solo at your favorite local restaurant, it’s important to take the time to cut up your food before eating it. From a perfectly-cooked sirloin to a salmon fillet, cut up your food in small pieces before you start eating. A recent Arizona State University study found that people who received a cut up bagel ate less of it than those who were handed a whole bagel. The study also found that when a free lunch was served 20 minutes later than usual, participants ate less as well. Traveling for business or leisure can make it challenging to eat healthy. In an attempt to decrease the likelihood of ordering fattening entrees on a whim, it may behoove you to research restaurants in the area before you decide to go out to eat. Take the time to check out different menus online so you can make healthy, informed decisions before you even sit down at the dining table. Since many men find it difficult to tally their calorie intake on a daily basis, it may be wise to track the number of bites you take per day to help trim excess calories from your diet. During a recent study at Brigham Young University, researchers asked a group of students to count their daily bites. They then asked the same group of students to reduce that number by 20 percent throughout the next month. Students who did so lose an average of four pounds! With Halloween quickly approaching, you may be anxious at the thought of excess candy lying around your home or apartment. If you’re concerned you may start to crave these sweets (which we all undoubtedly do), consider picking up some StarburstⓇ, Jolly Ranchers, or any other candy that comes in individual wrappers. You’ll likely eat less of these sweets than other wrapper-less candies like Skittles and Twizzlers. According to a Swiss study, people who were told to take candy freely from a bowl of wrapper candy ate just three pieces, while those who were offered unwrapped sweets at up to five pieces. It may sound silly, but the tiny effort required to unwrap a piece of candy can be enough to slow you down and deter you from taking more than you should. Did you know that smelling your favorite foods sends the same signals of pleasure and fullness to your brain as actually tasting them? Before you dig into that cheesy pizza or start twirling your fork in spaghetti, take the time to pause and take a few whiffs. Indulge in the delicious smells of your food before you start digging in, as this can potentially help you to eat less. Let’s be honest, we all love a cold soda every now and then. In order to kick your sugary soda habit (or juice habit), keep a clear pitcher of filtered water in your fridge. Feel free to infuse the water with fruits of your choice like lemons, strawberry, and even cucumber. Add a touch of basil or mint to the pitcher for a refreshing and tasty beverage. Whenever you feel the urge to open up a two-liter of Coca Cola, drink a glass of your fruit-infused water instead. Some of the most accessible snack foods like pretzels, crackers, and chips, will only fill you up temporarily. Before you know it, you’ll be reaching for more food after polishing off these carbohydrates. Instead of grabbing a bag of potato chips to satiate that three-o’clock itch, choose snacks that will benefit your body. Make sure each snack you consume consists of some carbohydrate, protein, fat, and fiber. This is the best way to stay full and to control the body’s insulin response as well as digestion. The Spice Girls had it right when they told us to “Spice Up Your Life” in 1997. Along with lowering your risk of heart disease and cancer, recent studies have found that spicy foods may be a prominent component in weight loss. The secret ingredient in these spicy foods is capsaicin, and some evidence suggests that it an activate the same receptors in the brain that tell you when you’re full. This can lead you to consuming less calories, which will be very beneficial on your weight-loss journey. Make a point to use chili peppers in your homemade soups, salad dressing, and even meat marinades. As you can see, there are many things you can do to help yourself lose weight. If changing your diet and exercise just isn’t working for you, it may be time to seek professional health. Contact the medical professionals at the Men’s Vitality Center in Glendale to schedule an appointment with one of our physicians today.